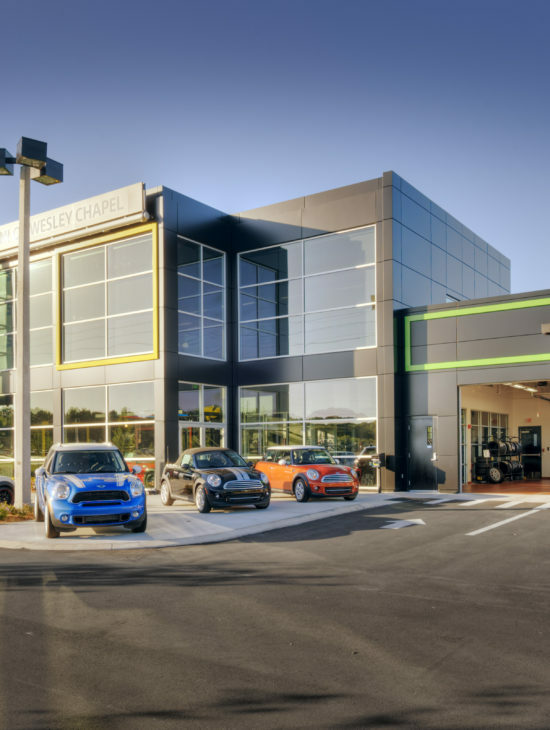 Mini of Wesley Chapel – Spring Engineering, Inc. 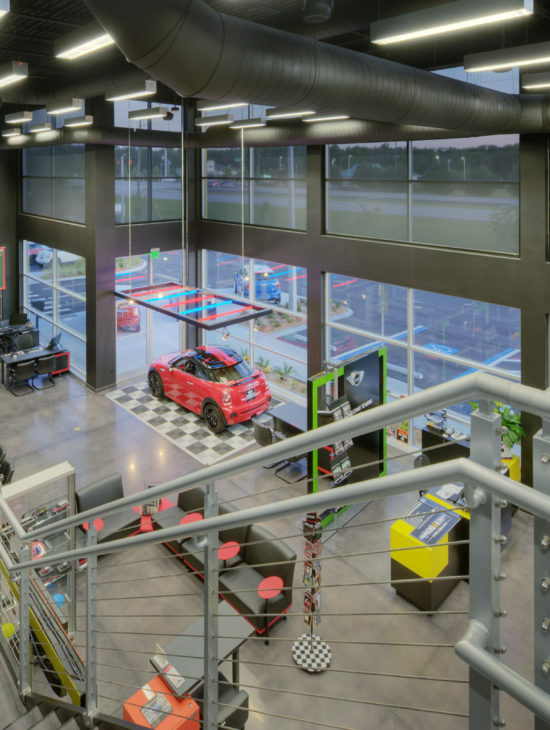 In 2010, Spring Engineering, Inc. was commissioned to deliver architectural and engineering services for the first stand alone MINI dealership in the southeast. 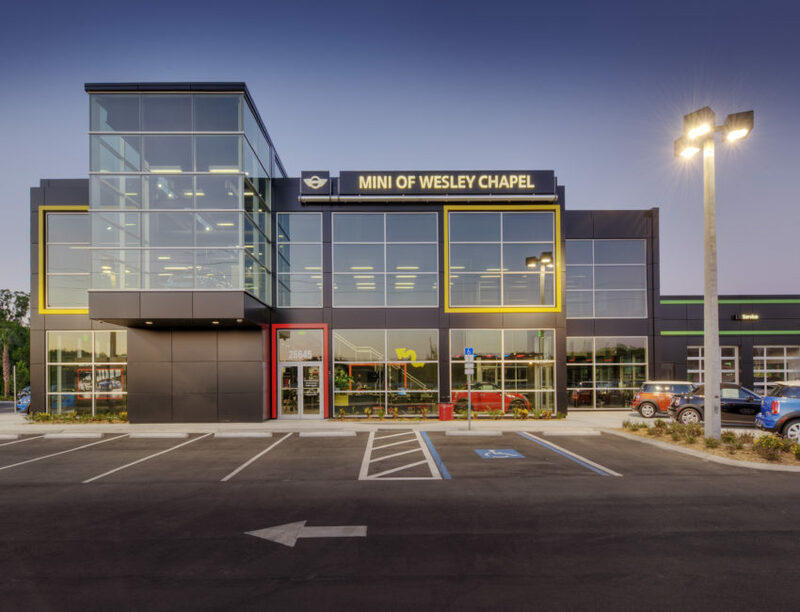 The facility is a 19,000 S.F., two-story masonry and steel structure that emphasizes the attitude of the MINI brand through exposed steel structure, bold accent colors and modern finishes. The main focal point of the front façade is the cantilevered glass cube that projects beyond the black aluminum composite wall panels which clad the building. This cube is used to display feature vehicles from the second floor which are accessed through a unique vehicle lift located in the showroom. The service shop is a state of the art facility that is fully air conditioned, has clinker tile clad floors and contains thirteen service stalls. The scope of work provided for this project included but was not limited to: programming, site design, 3D renderings and new construction.